Get Glasses - Give Back! You will be pleased to find that we offer quality frames for all budgets, ages, and styles. 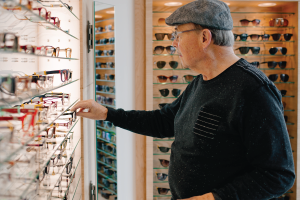 We stock over 1,000 frames from the economical brands to the high-end designer brands so that you have options. 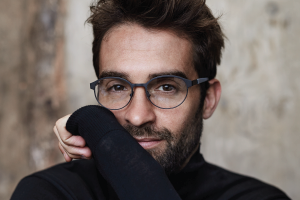 And we are excited to offer many frames that are not found in the average optical shop. Click here to browse Eyeglasses and Sunglasses. We stand behind our products and services and are proud to offer unparalleled no-hassle guarantees. Package 4: 40% Discount for Pair of Glasses with Purchase of Contact Lens Exam + Contact Lenses (self pay and vision plans). ** “Pair of Glasses” = Frames and Lenses purchased at Lenza Eye Center. All-inclusive package with select frames and single vision lenses! Click here for more information. 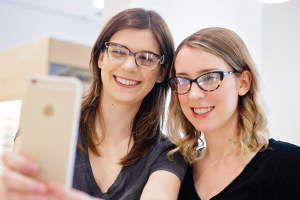 All-inclusive package with select frames and progressive lenses! Click here for more information.